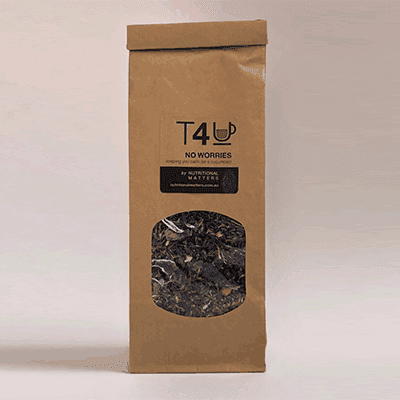 As a lover of tea, I’ve created T4U to help my clients with calming their mind, balancing blood sugars levels, aiding digestion and promoting more restful sleep. 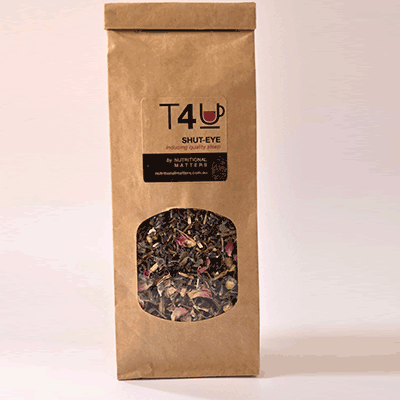 T4U is personally hand-blended to suit each individuals need. I also take the time to make sure each tea tastes great. The ingredients I use are certified organic, and contain naturally occurring therapeutic properties, to aid with the treatment of specific symptoms. 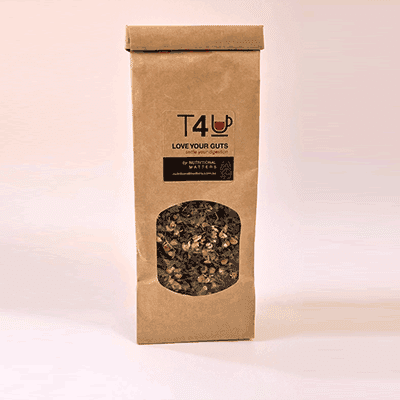 T4U is the perfect accompaniment to support a healthy nutritional plan and has become a popular beverage for my clients. 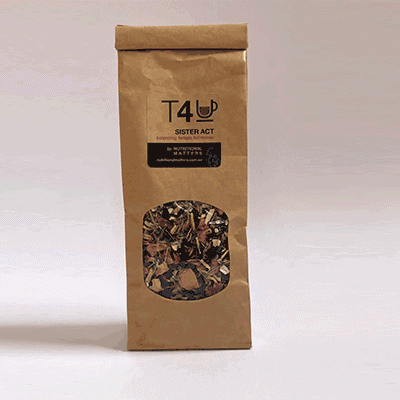 You can enjoy a T4U by adding one teaspoon of the loose leaves into a pot of boiling water (1tsp per person) and infusing for 3-5mins. 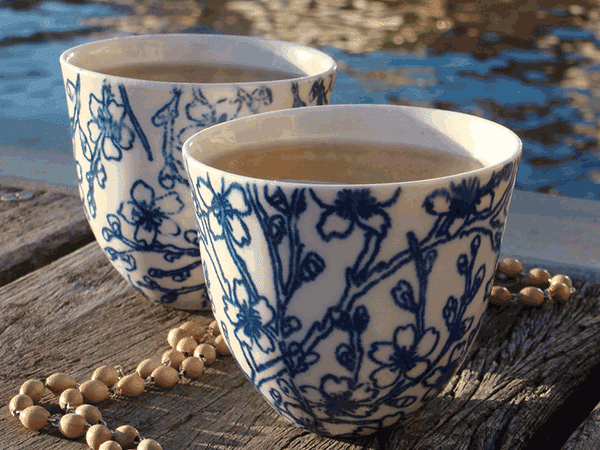 Relish the aroma as you pour into your favourite tea-cup, then relax and enjoy the quiet ritual of a cup of tea! I can also personally blend a T4U. 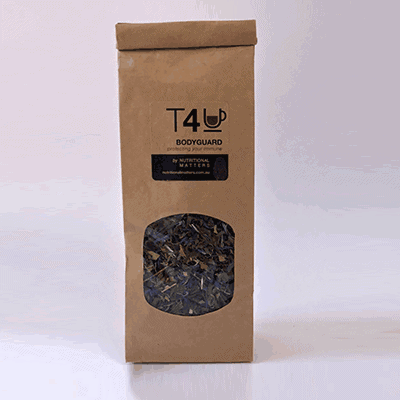 This tea is blended from traditional digestive herbs. LOVE YOUR GUTS can help ease tummy troubles, such as; indigestion, IBS, reflux, flatulence and bloating. Beneficial to drink after a meal! 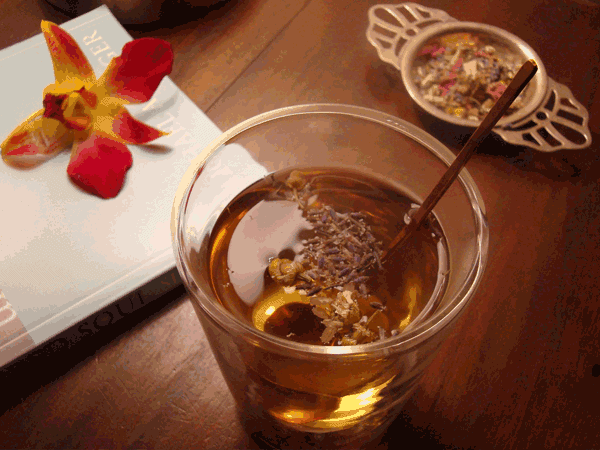 Contains: Chamomile, lavender, withania, passionflower, lemon balm, blue cornflower. This little tea can help curb your enthusiasm for sugar…with the sweetness of cinnamon and lime peel, combined with spicy cardamon and warming ginger. 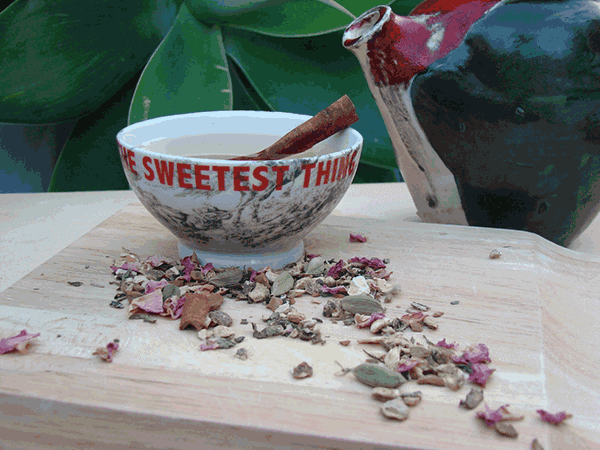 Contains: Cinnamon, cardamon, ginger, lime peel, spearmint, dandelion root and pink rose petals. This tea helps calm your nerves, balance your hormones and reduce unwanted symptoms experienced during menopause… particularly hot flushes. 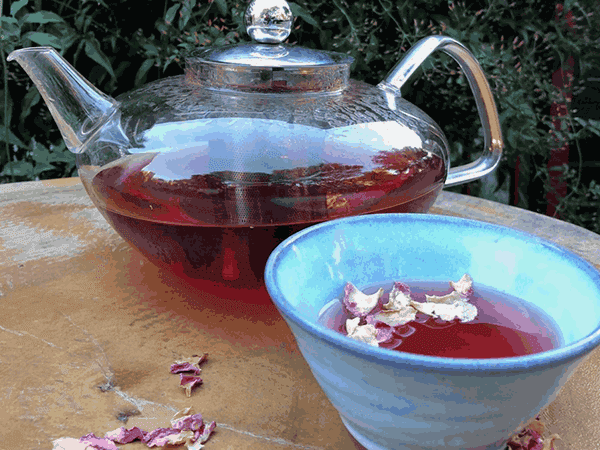 Contains: Sage, withania, shatavari, alfalfa, licquorice, hibiscus, pink rose petals. 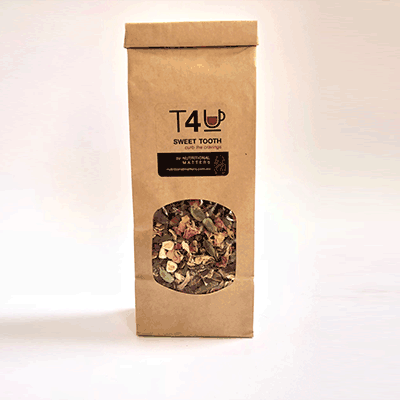 Strengthen your immune system with the most popular tea in the range. It’s jammed packed with antioxidants to help refuel your reserves and fight off colds and flus. Contains: Green jasmine, spearmint, lemon myrtle, blue cornflower. Bit of a worry wart? 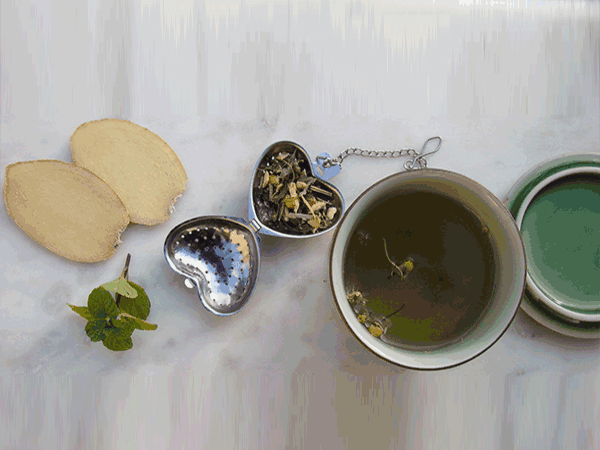 If your life is filled with busyness and a fair dose of stress, this gentle tea is for you. It can help settle your nerves, calm your mind and literally take the worries out of your day. 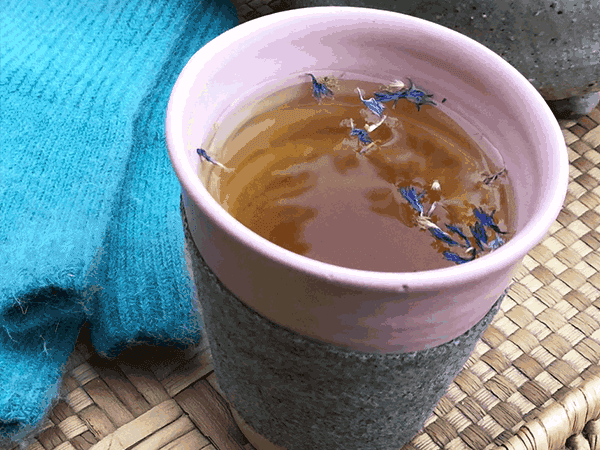 If you’re struggling to get a good nights sleep, this tea has a blend of herbs to help calm your nerves, switch off a busy mind and put you into a deep slumber.